I'm really happy to have copies of 2 brand new releases from some good friends of mine, both from Nottingham. First up is the NACHT UND NEBEL/W>A>S>P>S split 7". Nacht Und Nebel is the solo noise project of Henry Davies (Moloch/AOFR/DITW/Nadir) After a slew of CDr and Cassette releases here is the first vinyl outing for Nacht Und Nebel. 3 short dark soundscapes, created from heavily processed cello loops and decaying electronics. On the flip side w>a>s>p>s presents 1 track of brutally heavy bass surf wall and electricity shock. 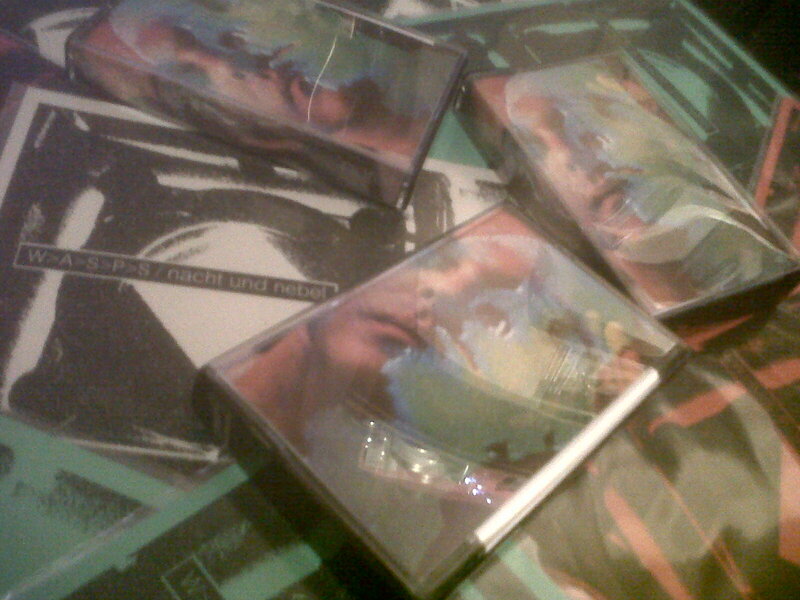 Secondly is the new GUILTY PARENTS - 'NORO' tape. Guilty Parents play blown out, noisy, dirty, psychedelic punk. Trying to compare these guys to other bands would be pointless as they have a sound all of their own. At times catchy and rocking, at times brooding and dissonant. Always killer. Mucus green tape with 4 new tracks plus remix by Patrick Milsom. I recently added a load of new stuff to the distro. 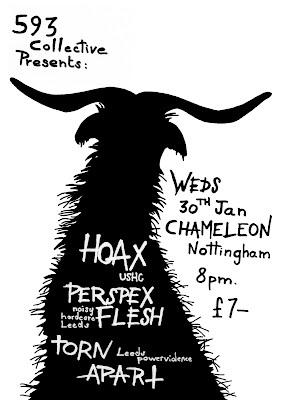 Loads of fucked up noisy punk rock and also some great heavier stuff too. 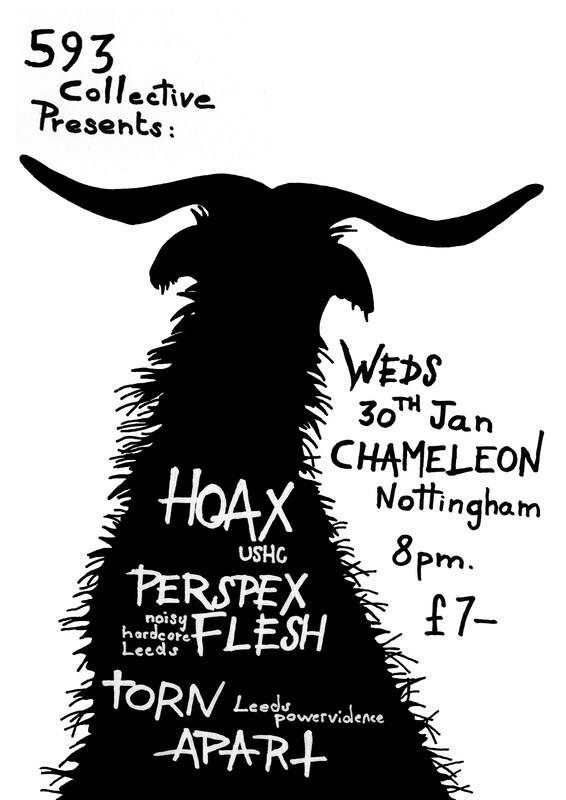 VRLG distro will be at the Nottingham HOAX gig in a couple of weeks, so if you plan on coming to that bring some extra coin for records. WHO KILLED SPIKEY JACKET? 12"